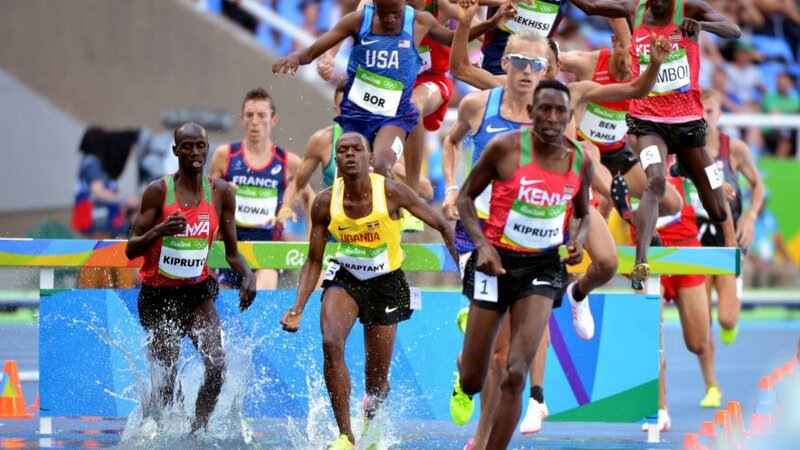 No matter if you’re an experienced runner or brand new to the sport, it can really benefit you to look toward the words and examples of some of the world’s best elite runners for running advice, tips, and general knowledge. Luckily, many of the world’s most talented runners are not only actively engaged on Instagram, Facebook, Twitter, but they have excellent blogs, websites, and YouTube channels. While there are many elite runners who you can (and should) turn to for sound advice, the six below offer a variety of knowledge on male and female specific running, ultra-marathons and shorter distances, and trail running and road races. Sage Canaday originally made a name for himself as the youngest competitor in the 2008 Olympic Trials for the Marathon, at which he was only a junior in college. 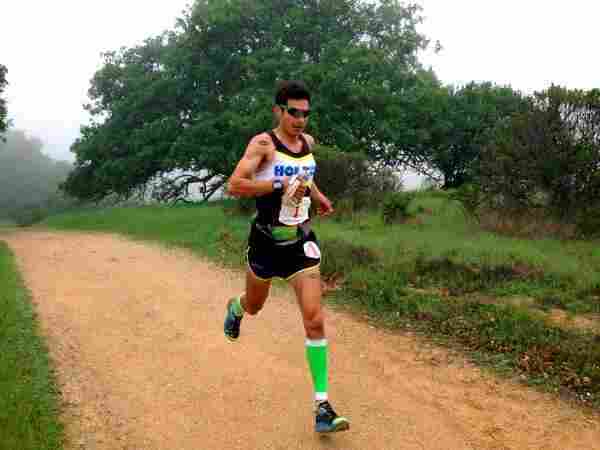 He qualified for the marathon in both the 2008 and 2012 Olympics but has since opted for the longer road, and is now best known as an ultra-marathon runner. He is also known for his YouTube Channel, VO2MaxProductions, which has over 10,000 subscribers. On his channel, you’ll find everything from the best tips for starting out as a runner, to workouts and drills for increasing speed and endurance, to advice on proper running form and killing it in the marathon or ultra marathon distances. His latest project is titled, “MUT Runner” which stands for “Mountain, Ultra, Trail.” In this series of videos, Sage actually follows and interviews other “off-roading” and ultra runners. Follow along, and this will help introduce you to even more of the world’s most elite runners who definitely have advice to give, and who we can all learn a thing or two from! Tina Muir originally hails from England and is regarded as one of the fastest female runners in Great Britain. (And with a marathon PR time of 2:36 and a half marathon PR of 1:13, it comes as no surprise!) However, within the last year, Tina took to her website, blog, and podcast to share with the world her struggle with amenorrhea. In the spring of 2017, she shared that she would be taking a break from running to focus on getting her health back with the hopes of getting pregnant. Currently, Tina is expecting a little girl in February of 2018 and has been applauded in publications like SELF and People Magazines for sharing her health struggles and for “normalizing” talk about amenorrhea and infertility struggles that so many female runners face. Her website and podcast are excellent resources for everyone because she shares not only her own elite knowledge, but invites many other elite athletes and Olympians, as well as coaches and dietitians to share their knowledge and how it translates to running. However, if you’re a woman who’s ever suffered from the Female Triad, then definitely check out what Tina Muir is advocating for! Lauren Fleshman is one of the most revered female runners in the world, and her website asklaurenfleshman.com is an excellent tool and resource for all things running! Lauren started her career winning California state high school championships in cross country, and went on to compete and be a five time NCAA champion while at Stanford. She then took her talents to the professional and Olympic arenas where she holds a Bronze medal from the 2012 Olympics and was a member of several World Championship Teams. Today she’s a mom, and the co-founder of the delicious Picky Bar brand, but it’s her website that fans flock to. The podcast on her website covers everything from her take on best running practices, best running equipment and attire, and nutrition, as well as practical life experiences as a wife and mother. It’s posed as a “Q and A” format, so if you have running questions, don’t be afraid to go online and ask her! She also has a blog portion of the website, where she expands upon many of her podcast topics in writing. Kara Goucher is definitely one of the most sought-after elite runners on social media but her website and blog have a loyal following as well. Her website gives her personal stats and a little insight into who she is, and opens the floor up for questions from readers. She offers running and fitness advice to both new and seasoned runners, features stories about other “every day runners,” and writes about the running retreats she hosts (and if you’re interested in attending, you can register on her website as well!) The blog is similar to other running blogs. It mostly covers her day-to-day family life, which can be really intriguing when you want to know how this wife and mom juggles training, representing several sponsors, and is able to run the fastest marathon time for an American woman (2:25). Ryan and Sara Hall are your go-tos for how to further your training and reach your personal running goals, all while keeping a healthy balance and perspective. On their website, they not only share their running experiences and tips, but offer excellent healthy recipe ideas and insight into their strong family life, which centers around their four adopted Ethiopian daughters. Both Sara and Ryan are elite runners who met at Stanford University. Sara is still competing professionally and has represented the US at three World Indoor Track and Field Championships, and is the 2012 US National Cross Country Champion. Ryan, who retired from running in 2016, ran the best American times in the half and full-marathons, and ran for Team USA in the 2008 and 2012 Olympic Games. While not actually an elite runner himself, Steve Magnus is highly respected among elite runners who turn to him for his knowledge and guidance on how to best improve times and performance. What draws runners to Steve is his scientific approach to running. 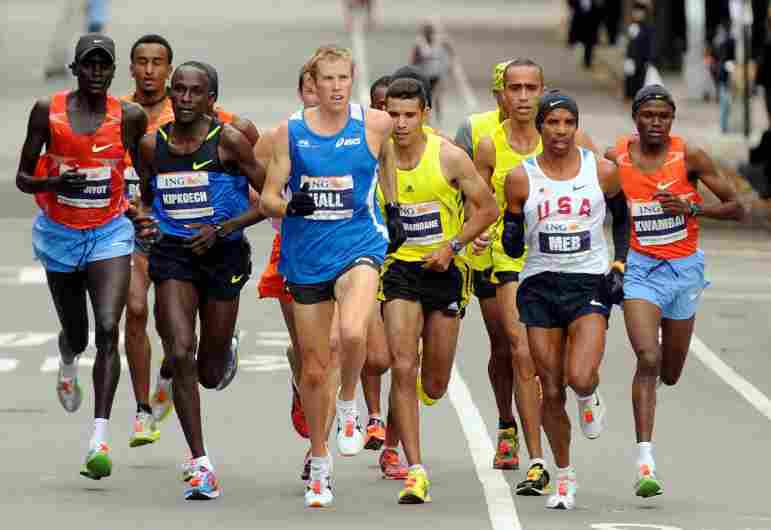 His blog articles give in-depth explanations on the who, what, and WHY’s of running. By day, he’s an Exercise Science and Strength and Conditioning lecturer at St. Mary’s University in the UK, but his resume includes coaching coached olympians, world champions, marathon winners and writing running articles, books, and appearing in several major television and print media outlets. Check out scienceofrunning.com for answers to basically any and all of your running questions!